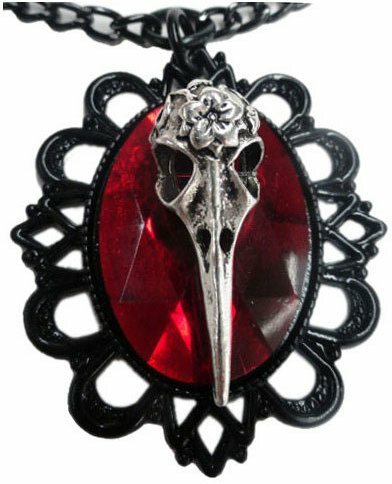 Silver tone raven skull over red faceted acrylic stone over black plated filigree setting. 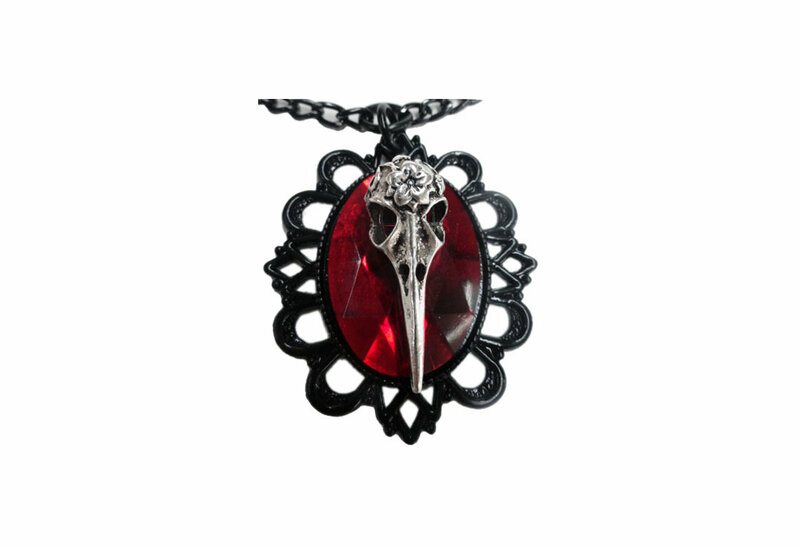 Measures approximately 60 x 52 mm and comes with a 26 inch black anodized aluminum Chain. Imported.